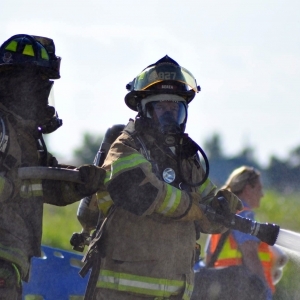 Voluntary Disaster Exercise : There will be a voluntary disaster exercise, on Wednesday April 17th, 2019, at 12:20PM, focusing on a community-wide chemical release. 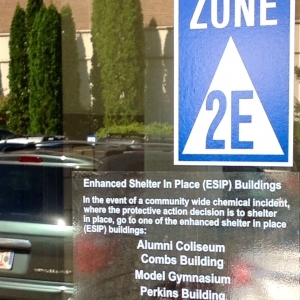 When it comes to emergency preparedness, knowing what to do in the event of a hazardous materials release can be critical to anyone’s safety. 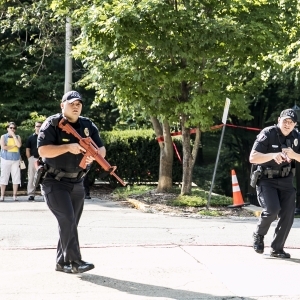 In addition to September being National Preparedness Month, it is also Campus Fire Safety Month. Watch our Controlled Burn on the EHS/RMI Web Page. This is what can happen to an ordinary room (without sprinkler protection) in a matter of minutes! 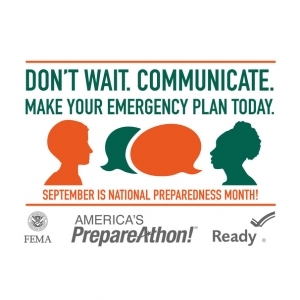 National Preparedness Month (NPM) starts on September 1st! 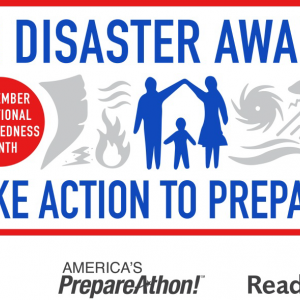 This year’s theme is "Be Disaster Aware, Take Action to Prepare". 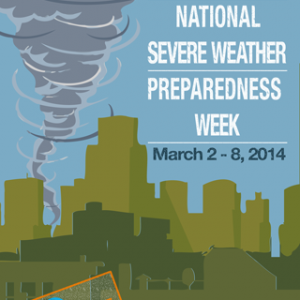 This is National Severe Weather Preparedness Week. In 2013, a total of 903 tornadoes were reported in the United States. Those tornadoes occurred in 43 states on 152 days, resulting in 55 fatalities and more than 500 injuries. 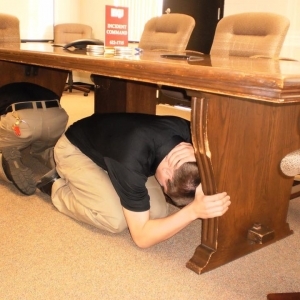 What should you do before, during, and after a tornado?